If you are an engaged couple looking for information about a wedding at St. Patrick Parish, please click here. The family, the domestic church, is the foundation upon which all of society is built. St. Patrick Parish wants to do all that it can to help support strong, faithful marriages. 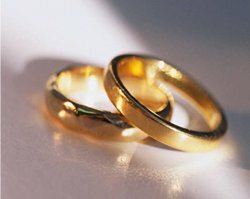 For a list of programs for married couples, please click here. News of the Week for St. Patrick Parish!